Now we're into the second half of 2017; it's only natural for those responsible for corporate hotel programmes to wonder what 2018 will bring when it comes to securing the best rates they can with hotel companies. 2018 hotel forecasts predict continued demand with limited supply growth set to continue, which can impact room availability and cause rates to rise. With this in mind, for organisations booking large volumes of hotel room nights, to keep costs down, it's important to ensure your company's hotel spend is managed through a professional hotel programme. Doing so will give you greater control of costs and improved visibility of your travel spend and transactions, not to mention a standard of service that's appropriate for your employees. #1 - Shout it from the rooftops! Buy in from the top is essential if you want your employees to support your corporate hotel programme. 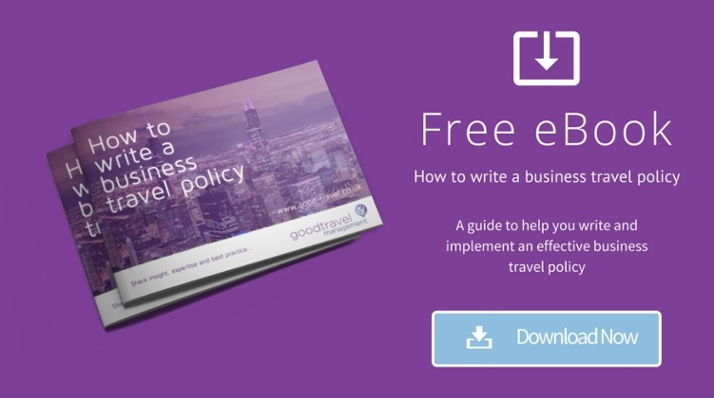 A hotel programme endorsed by your senior leadership team has a much greater chance of success than a business travel policy that's hidden amongst the company policies on your Intranet site. Plan how you'll communicate your business travel plans with your employees as you would with any other internal marketing. Post it on your internal company blog, display posters, send a series of emails, nominate business travel champions - whatever you do make sure the benefits of supporting the hotel programme are clear such as savings, staff well-being and visibility. Partnering with a good TMC means you don't have to negotiate a hotel programme on your own and gives you access to other benefits too. Your TMC will negotiate on your behalf to secure exclusive discounts for your company, but you'll also get access to their buying power too. So when you don't have enough room nights in a city to get your own discounted rate, you can take advantage of their discounts instead. Any TMC worth their salt will also connect you to web-based channels like LateRooms and Expedia, so you get an accurate view of the market every time you book. Setting maximum spend limits is a good way of influencing how much your employees spend when they book hotels. Your TMC Account Manager will help you set these limits based on market trends, historical data and your company's requirements, taking comfort, convenience and value all into consideration. It's important the limits you set are fair and realistic, if not, you risk annoying your employees by forcing them to stay in substandard hotels which is never good for morale! Improving accommodation costs isn’t just about cutting the costs of the hotel rate itself, there are always hidden costs to consider that may not always be visible. Always think about what the rate includes and if you'll need to pay extra for essentials such as food, parking and WiFI. Hotels are usually willing to throw in a few extras as they bid to secure your business so don't forget to ask them to! Extras such as complimentary WiFi, extended cancellation policies, meal vouchers, airport transfers or parking are just a few of the add ons available, and if you can get them included in your rate, you can create significant savings by avoiding travellers paying for them and claiming them as expenses. Most of us are guilty of indecision when it comes to choosing a hotel for time to time. To save travel bookers’ time, make the decision-making process easier for them by narrowing down the options. Identify a small number of preferred properties in each city that are cost effective, convenient and comfortable for your travellers. This way, you ensure traveller well-being is at the forefront of your choices as well as keeping control of costs at the same time. One of the reasons travellers book outside of the approved channels is because they don't always understand the benefits their TMC provides to them and their employer. Educating your staff on these benefits is key to reducing leakage and boosting compliance. 24-hour emergency assistance is essential to support travellers when the unexpected occurs from minor payment issues at hotel check-in to unexpected crises. The ability to track travellers also means you know where your travellers are should there be an emergency. Encourage a high-level of booking compliance across your business to reduce unnecessary expense costs. Adding sundries to your initial reservation means traveller won’t have to pay for extras while on their trip and this eliminates the need to make additional expense claims - which are time consuming and costly for all involved. It also means you'll have an accurate record of all your spend, which is crucial when negotiating rates with hotels. Regularly benchmarking your hotel rates against industry averages and similar companies helps to determine if you're achieving value for money. It's an excellent way of spotting opportunities for improvement and leverage when re-negotiating with suppliers if your rates become uncompetitive. Make sure your TMC gives you the opportunity to book online using an online booking toolthat includes access to your corporate rates, your TMC's discounted rates as well as third party suppliers. Booking this way leads to reduced transaction fees, and it also helps encourage travellers to book cheaper options thanks to a phenomenon called visual guilt. This may seem obvious, however, staying overnight may not always be necessary, especially if the traveller can arrive back at home at a reasonable hour and within a reasonable amount of time. While eliminating hotel stays wherever possible is a good way to reduce hotel costs, traveller well-being is paramount in these circumstances, and businesses need to ensure the traveller is happy with a long commute home if there is one. 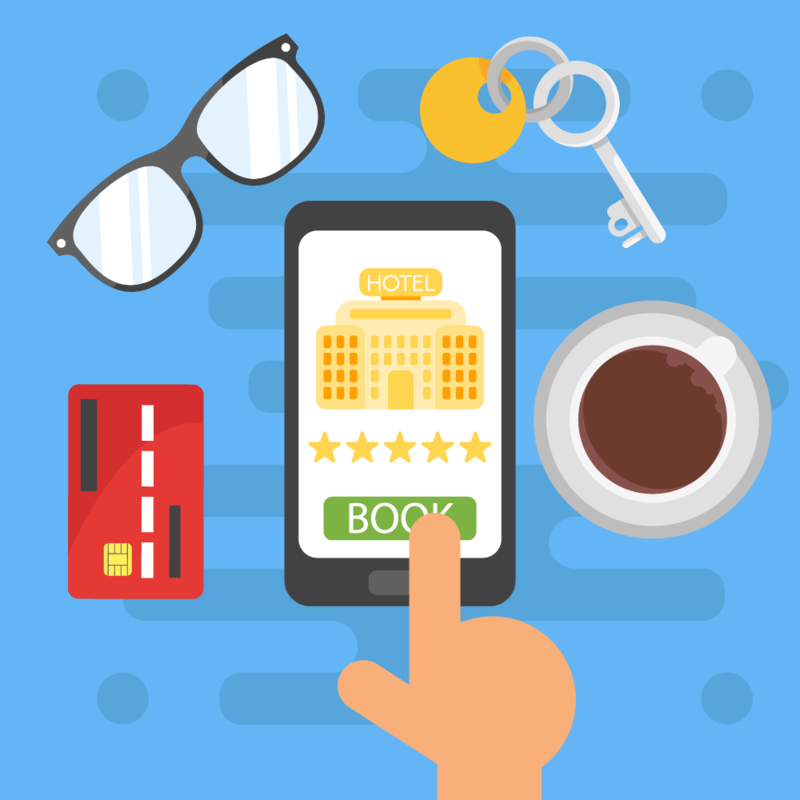 Joining hotel loyalty schemes is a no brainer, even if it’s the traveller’s first stay with a hotel chain, and they have no points in their account, you can still save money by creating an account and joining a hotel loyalty programme for free. Accumulating points by frequenting specific hotel chains earns benefits and reduced night rates for the traveller. A great option for those who have friends and relatives close to meeting locations. Instead of staying in a hotel, why not stay with your family or friends? Not only does this drive cost savings, but you also get to spend some “bleisure” time with friends and relatives for a well-earned catch-up! Some companies incentivise their employees to do this by rewarding them with a nightly allowance, which means both the company and the traveller benefit. If you have any other great tips for managing a hotel programme, then leave us a comment in the box below.